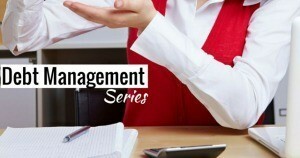 Do you find the thought of sorting out your finances overwhelming? We all know that we’re supposed to be financially savvy, but sometimes it can be hard to be good all the time. Instead, you end up putting your head in the sand and promising yourself that you’ll sort it out one day… while getting out your credit cards to cheer yourself up with that cute dress you saw on sale the other day. If you’re finding it hard to figure out the best way to get your money working for you, don’t worry. We’ve put together a list of the 40 best pieces of money advice we’ve ever received or heard. Once you’ve read through our list, you’ll know exactly what to do to make sure your finances are always in peak condition! The smartest move you can ever make is to invest in yourself and this is a piece of advice that will pay dividends across all areas of your life, not just financial. It’s so easy to prioritise everything before your own needs. Instead, you need to acknowledge that you value yourself as much as all your other commitments. What’s more, if you’re a solopreneur or a business owner, nobody will invest in you if you don’t take the lead. Make a promise to yourself today to invest in yourself, whether that be doing a course to further your career, taking time out to plan a budget or hiring a life coach. Always remember investing in yourself pays the best interest. We all have bills to pay and there are times where there’s too much month and not enough money. However, if you pay yourself before your other obligations, you’ll soon find it’s easy to manage on slightly less while you build up a nest egg for a rainy day. A great way to pay yourself first is through automatic savings. 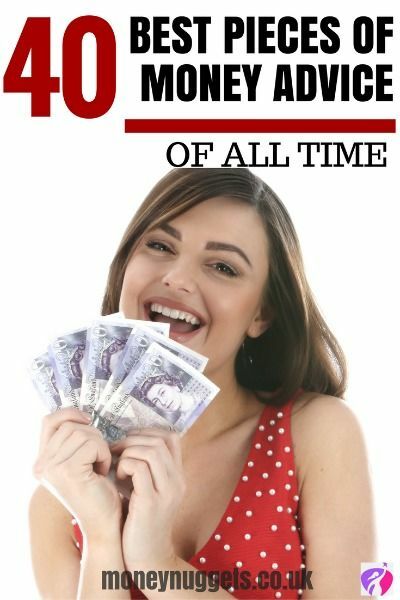 Set up a standing order to put 10 to 15 per cent of your income in a savings account as soon as you get paid. Then you can forget about it while it accrues interest for you. 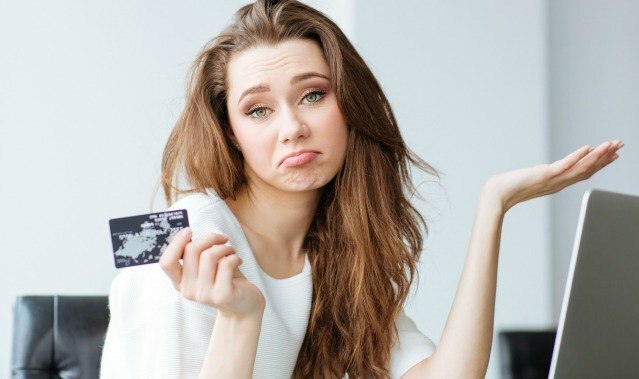 Remember when we told you to ditch the credit cards? We mean it! If you’re robbing Peter to pay Paul, your finances are in a mess. If you haven’t got the money to buy something, wait until pay day to treat yourself – yes, even if it’s in the sale. Why? So you can save and invest the rest. When it comes to sorting out your finances, it’s not how much money you make that’s important, but how much money you keep. Learn to live under your means. Be really brutal when you list out your living expenses. Is there anywhere you can save money or cut costs? A Netflix subscription is cheaper than going to the cinema, for example. If you really can’t cut your outgoings any further then look into how you can earn more so you have money to save and invest. It’s far too easy to spend a fortune just to save money! The simple reality is that if you weren’t planning on buying something, the fact that it’s 50% off doesn’t matter. You’re still spending money you didn’t need to spend. If you know the sales are coming up, make a list of the things you need and stick to it. If you know you really can’t resist temptation, then ignore the sales. You can always snap up a bargain on eBay later. It sounds so simple, but when you have a credit card or overdraft facility, you can get into debt without thinking about it. Ditch the credit cards and don’t buy something if you can’t afford to pay for it in full. Your bank balance will thank you for it! It’s easy to come up with all sorts of justifications for why you should buy that outfit, but if you’re trying to kid yourself that a dress is really an investment, think again. If you’re using something, it depreciates in value, no matter who designed it. So if you really want to invest in clothing, be prepared to see it hanging in your wardrobe, carefully wrapped up to preserve its condition. And if that thought depresses you, perhaps you should just avoid labels all together, even in the sale. Take time to sit down and actually write out a budget or spending plan. 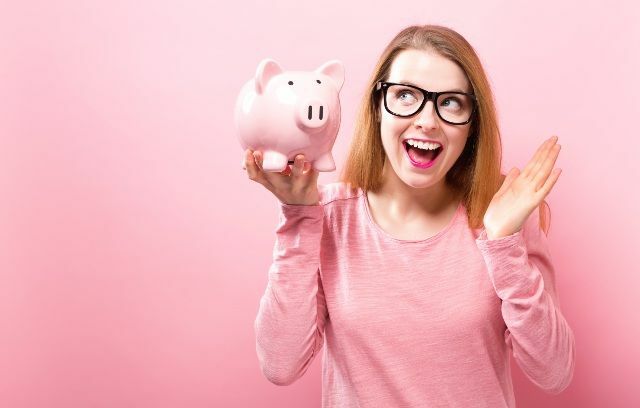 When you see your finances in black and white, you may be pleasantly surprised by how much money you really have – or how much you’ve been spending when you didn’t need to. Put your budget somewhere that you can see every day as a reminder to yourself so you never go over your limit. Likewise, think about when we told you to invest in yourself first. Once you’ve put money in your savings account, consider it gone, just as if you’d bought something. If you’re ever tempted to spend the money in your savings account just because it’s there, ask yourself if it’s a real emergency. If you don’t need the money to keep a roof over your head or put food on the table, leave it in your savings account, no matter how must have those shoes are! Keep life simple. In case you didn’t get the message from tip number two, I’m going to repeat it: make your savings automatic! It takes less than five minutes to set up regular savings and then you can forget about it. Even £5 adds up over time. And don’t be tempted to dip into your savings at the end of the month! 11. A penny saved is a penny earned – Save! Save! Save! Even the smallest amount adds up over time. Treat yourself to one of those money boxes that you have to smash to get the coins out and put all your spare change in it. Some of them can hold up to £1000 in coins and it’s a great way to save up for special occasions without thinking about it. Once you’ve dropped a coin in, forget about it. Do you have enough money in the bank to last for at least 3-6 months if you lost your job? That’s how much experts say you should always have set aside. If you don’t have an emergency fund, you won’t be able to cope in an emergency. That’s why it’s so important to make saving a regular habit – today! And just in case you are thinking you don’t need an emergency fund, here are 25 reasons to have one emergency fund. 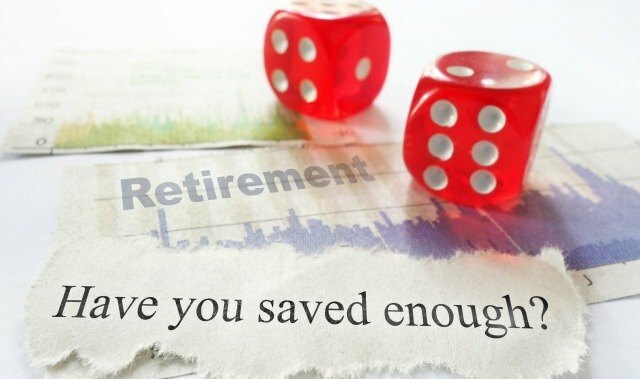 It never too late or early to start saving and even if you don’t feel that you can spare 10% to build up a nest egg, little amounts soon add up. You don’t have to start big. Just £1 a day would give you £365 in the bank at the end of the year. Check out our handy guide on how to save money without breaking a sweat. If you don’t know where you want your finances to be, how are you going to get there? 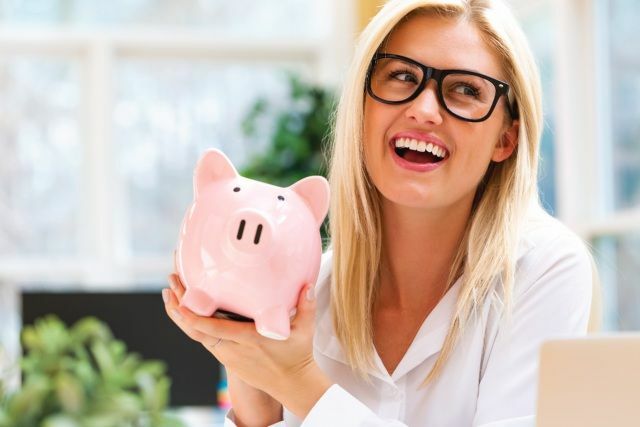 Whether you want to buy your own property, travel around the world or simply have some savings in the bank, the first step is to set clear, achievable financial goals. 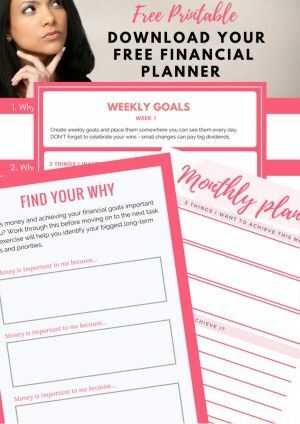 Use these to create a financial plan and then put it into action. Set aside time regularly to examine your finances and make sure you stay on track. With all the latest political upheavals, you cannot rely on a government pension to be there for you later in life. 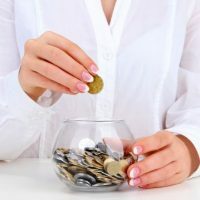 Money in a savings account is a good start, but it’s not enough if you really want to make the most of your finances. Book a session with a financial consultant to see all your options and make an informed decision about the best place to invest your money for the long term. Tomorrow, tomorrow, tomorrow… There’s always a reason to put off what you don’t want to do today. 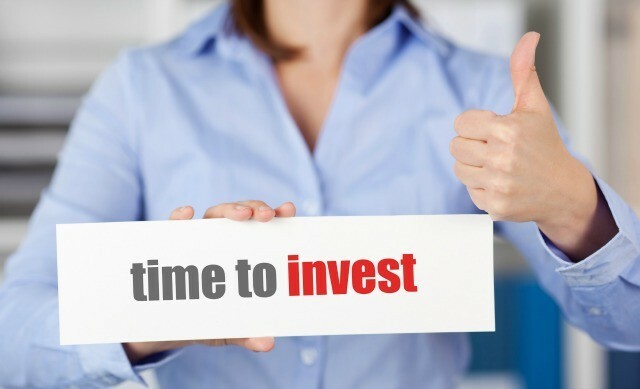 Investment is a long term game, so the longer you give yourself, the better the results. It’s also easier to weather the inevitable storm when you take into account your overall long term goal. The only certainty is change. What seems like a good investment today could be a bad investment tomorrow and even if something looks like a sure thing, there’s always the chance of a nasty surprise. Protect yourself against the unexpected by spreading your savings across a variety of assets and investments. That way, you know you’ll always have financial security, whatever happens. If you really want it, why not save up for it? Treat it as another one of your financial goals, as well as an exercise in learning how to manage your money. Trust us. You’ll enjoy your purchase so much more when you know you’ve taken the time to save for something instead of spending money you didn’t have for something you didn’t need. Take advantage of the power of compounding by saving a consistent amount each month for the long-term. The sooner you start to do this, the more you’ll have in the bank, even if you never change the amount you put away. In the long term that interest will really add up. Make compound interest your friend and not your enemy. When you borrow money to buy something, it ends up costing you more in interest. Make your money work hard for you by saving for that purchase instead. Not only does the interest you make increase the value of every penny, it also decreases the amount of time you need to reach your financial targets. How? By gaining the financial literacy needed to make smart and informed financial decisions. We know, we know. Terms like ‘dividends’, ‘depreciation’, ‘liability’ and ‘net vs gross’ can leave your head swimming. But it’s really worth taking the time to develop your financial literacy so you can understand exactly what you’re signing up to when you scrawl on the dotted line. There’s plenty of free information available online to help you navigate the world of finance and make good financial decisions. Try browsing our site to get you started! The amount you need to put aside for retirement will vary according to personal circumstance, but as a rough guide, the older you are, the more you’ll need to put in to have a pension of the same amount. If you start saving towards your pension in your 20s, 12% of your salary may well get you a suitable pension. If you want until you’re in your 40s, you could find you need to pay in 20% just to get the same amount. Don’t put it off any longer – get your pension sorted out today. There are a number of financial benefits to having a pension scheme that go beyond knowing that you’ll be taken care of when you retire. The right scheme can act as a tax shelter, making every penny go further. With government cutbacks affecting all sectors of society, it’s well worth making sure that you have enough set aside so you can enjoy your retirement instead of worrying about making ends meet. In the internet age, we want everything free, perfect, now. Instant gratification makes it difficult for us to wait for the things we want. However, when it comes to personal finance, the best financial plans always pay off in the long run. Investments can go down as well as up, but if you’ve chosen your investments wisely, in the long term, you’ll always see the benefit of being patient. I know, I know. This one seems like a no brainer, right? However, it can be very easy to settle into a rut without thinking about how you could make more money. In these times of austerity, pay rises and bonuses are smaller than they used to be – assuming you get any at all. That doesn’t mean that you can’t make more money. 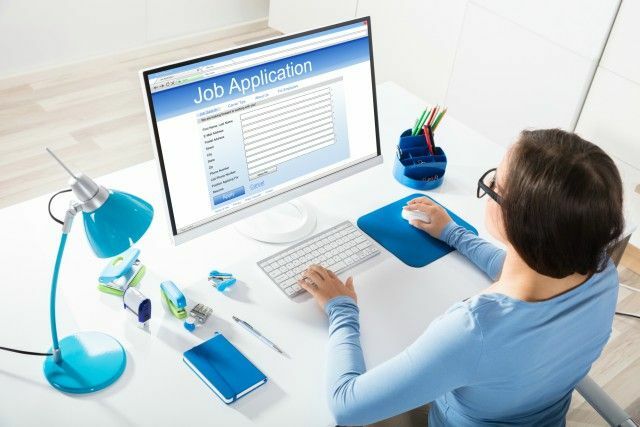 The same job with a different company could see you make a few extra thousand a year and if you really don’t want to start job hunting, it’s always worth asking your boss what you can do to maximise your chances of making more money. Earlier, we advised you to diversify when it came to investing. You should also bring this same attitude towards your ability to make money. Building a property portfolio, for example, will see you take home a few extra hundred a month with minimum extra effort. Freelancing will allow you to set your own hours and rates and may even be a viable replacement to full time employment. For more information on becoming a freelancer check out our handy guide on how to kick-start a freelance career. Selling on eBay can develop into a good little side earner if you take the time to learn what’s in demand. 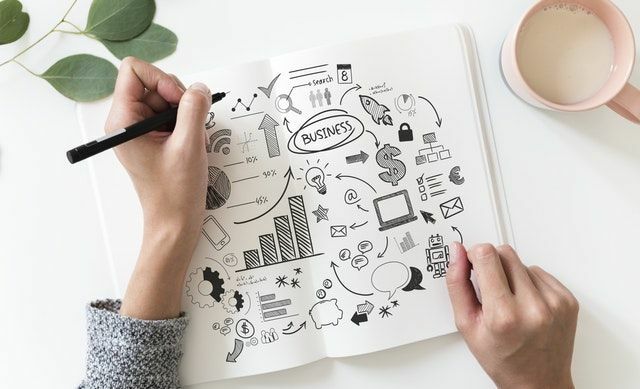 With a little imagination, you can create a number of income streams so that no matter what happens, you know you’ve always got an income you can rely on. Passive income is taking your income and putting that money to work for you. It’s the easiest way of getting the most out of your money, bringing in income even while you sleep. There are only so many hours in the day, so even at a premium rate, there’s a limit to how much you can earn. Instead, look at other ways of bringing in money that have the potential to become self-sustaining. 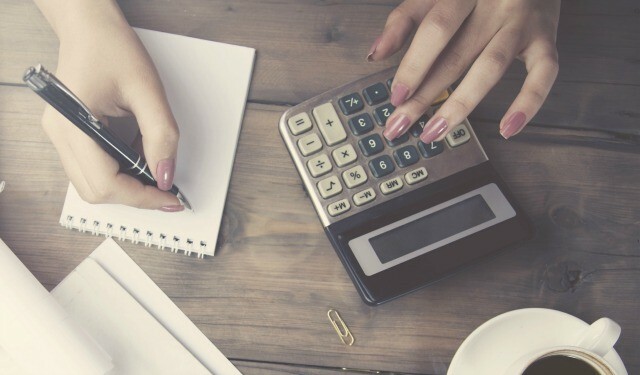 Whether you decide to invest in property, the stock market or build up an online business, a passive income is one of the best ways to realise your financial goals. Other than a mortgage, debt is never a good financial decision and even with a mortgage, you should think carefully about the type of loan you take out and whether you can afford it. Even an interest free loan can get you into trouble if you can’t keep up with repayments. Aim to always buy everything up front and if you can’t afford to do so, ask yourself – do I really need that purchase? 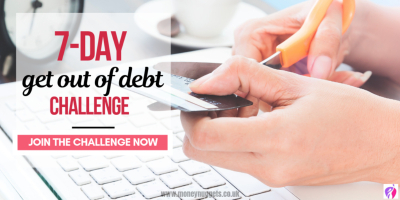 If you’ve already run up a credit card debt, then make it a priority to pay it off as soon as possible. Credit card interest rates are rarely the cheapest way of borrowing and can make an impulse buy in the sales cost far more than the item was worth originally. Cut up your credit cards and pay off the outstanding amount as quickly as possible. Look into the possibility of a balance transfer if you can get a lower interest or even 0% elsewhere. Once you’ve paid off your debt, do without credit cards completely. Check out our handy guide on proven ways to eliminate your credit card debt. There are certain benefits to having a credit card, such as insurance on your purchases. If you feel that you really do need a credit card for some transactions, then make sure you pay off the balance in full to avoid interest charges. Be brave and go to a site like Experian.co.uk to check your credit report. Once you get an accurate picture of your current financial status, you can take steps to improve your credit score, which is particularly important if, for example, you hope to buy a house soon. Not even if you really, really trust the person taking it out. With the best will in the world, sometimes, bad things happen to good people, leaving you with full liability, not to mention the negative impact on your credit score, plus, of course, the loss of a friendship. 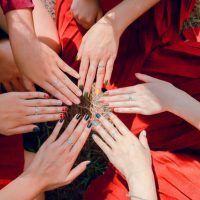 Much as it can be hard to say no, it’s better for everyone if you avoid co-signing. Could you afford to replace your household contents if they were destroyed or stolen? What about if your dog was in an accident? Could you cover thousands of pounds of vet bills? If you lost your job, could you keep up with your mortgage repayments? Sit down and do a serious risk assessment on every aspect of your life. If it’s important to you, insure it. Could you run a successful business if you couldn’t account for every penny? Then why do you think it’s okay to be careless with your personal finances? Take a ruthless attitude towards your finances. If you can’t justify an expense, then don’t spend the money. If you want to be in profit at the end of the month, you need to know where your money’s going – and why. 35. Cash is better than credit – any day! Use cash instead of credit. That way you’ll always know that you have enough money – or if you’re running out. Set yourself a daily budget and take out enough cash to cover that and no more. Once you’ve run out of cash, don’t take out any more. If you haven’t got the cash in your purse, you can’t spend it! It might seem a long way off, but you never know what might happen and with funeral expenses often running into the thousands, it’s good to know that your final wishes will be respected without anyone having to worry about how they’re going to pay for it. If your will is simple, e.g. you’re leaving everything to one person, you don’t have to pay for a lawyer. There are plenty of templates available so that you can put a will together at minimum cost and once it’s done, you can forget about it, safe in the knowledge that your affairs are in order. Make sure you are financially prepared for life…and death. It’s true. Givers never go poor. We have no idea how this works, just that it does. If you have a choice between buying something for the food bank donation box or getting yourself a coffee, be generous and help someone else. It’ll come back to you sooner or later – promise! Nothing beats sitting down with a money expert who really knows what they’re talking about to make sure that you’re getting the most out of your money. Whether you want to break into the stock market, set up a pension fund or build a property portfolio, it’s always worth talking to a professional about your options. Although the fees may seem high, an expert will quickly pay for themselves. Everybody has an opinion. Not all opinions are equally valid, however. Your Uncle Bob might swear that he has a hot tip that can’t fail to make you a profit, but does he really know what he’s talking about? If in doubt, just smile, nod and ignore, knowing that you’ve followed our 40 hot tips and are well on the way towards a healthy financial future. Our generation likes to see immediate results and it can be easy to look at what our parents have and expect to get it straight away. However, all good things take time, so don’t be too hard on yourself if it takes a while to reach your targets. If you’re dedicated, patient and passionate, you’ll get there in the end. What’s the best piece of financial advice anyone’s ever given you? What would you add to the list above? Let us know in the comments! I love number 40. It is so true. We are an instant and very throw away generation. Brilliant tips here, I need to bookmark this. I totally agree it’s not how much you earn but how much you keep. My income has increased significantly over time and I am yet to save for emergency. These tips are gold! I really need to print these out. Nice tips. Thank you for sharing these 40 money tips. Following these tips will definitely make me money wise. Nice tips. I totally agree with all of them. 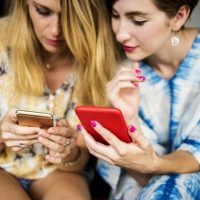 I’m trying to create passive income with my brand new blog. I hope I will be able to make a living of blogging within 5 years. Also, I like the one of spend less than you earn. I think a lot of people are having trouble with that one. Hi Moïse, thank you for taking time to eave your comments. I glad you found the post useful. Creating passive income is one of the best ways to attain financial independence and of course spending less than you earn is the key to abundance and building wealth. I wish you all the very best with your new blog. My Grandmother would see something she REALLY wanted while shopping & intentionally WAIT to buy it. Thinking it over for a couple of days before buying, sometimes the urge to buy will pass. Spur of the moment buying is not a smart move. Think it over beforehand.